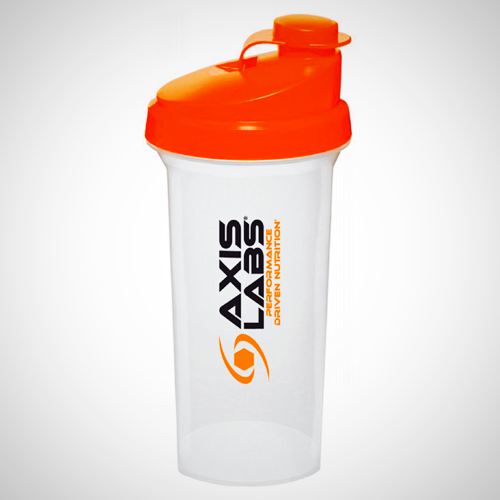 Get A Free Axis Labs Shaker On Purchase! The result of our ongoing efforts is HAILSTORM - The most powerful and effective pre-workout supplement on the market. Ok, we get it: the claims we just made are pretty damn bold. You’re probably wondering how HAILSTORM can ever live up to such hype...Is the formula really as effective as we just made it out to be? In short: HELL YES IT IS! Beta-alanine present in humans mainly derives from a dipeptide called carnosine. Carnosine is comprised of histidine and beta-alanine, and its synthesis in muscle tissue is generally impeded by lack of beta-alanine. An 8-week study on collegiate athletes found that those who supplemented with beta-alanine gained lean mass AND lost body-fat; those who didn’t take beta-alanine lost lean mass over the study period. HAILSTORM incorporates a sufficient amount of CarnoSyn® patented and purity-tested beta-alanine in order to increase the concentration of carnosine in your muscles. MagnaPower® is a revolutionary chelated form of creatine (using magnesium) and is proven to be highly bioavailable. Creatine is arguably the most effective single sports supplement ingredient known to man, allowing you to do more work over a series of sets or exercises, leading to greater gains in strength, muscle mass and performance over time. Many supplement companies use bulk sourced creatine monohydrate which is often adulterated and impure. Axis Labs isn’t here to cut corners, so HAILSTORM gives you patented MagnaPower®, which is tested and quality-controlled for maximum purity. One way we like to describe agmatine to consumers is that it’s like the bigger, more badass brother of L-arginine (a nonessential amino acid). Agmatine is a derivative of arginine, and the “pump” effect that many gym-goers experience after taking L-arginine is more properly attributed to the actions of agmatine. Agmatine works primarily by modulating key enzymes of the nitric oxide synthase (NOS) family, and by “turning on” alpha(2)-adrenergic receptors. These mechanisms result in many benefits, such as increased vasodilation/blood flow, enhanced insulin sensitivity, and boosted cognitive function, which are all beneficial for athletes and gym-goers. HydroMax® is patented high-potency glycerol - an organic polyol with beneficial properties in humans. After consuming glycerol, it is quickly taken up by skeletal muscles and attracts fluid, thereby promoting muscle fullness and better pumps during training. Be wary as many pre-workout supplements on the market use a cheaper form of glycerol called glycerol monostearate, which is often under 5% glycerol (rendering it useless for performance enhancement). L-tyrosine is the amino acid precursor to both dopamine and norepinephrine, the neurotransmitters that modulate reward and motivation. N-Acetyl-L-Tyrosine (NALT) is a highly bioavailable form of L-tyrosine that readily crosses the blood-brain barrier and enhances dopamine synthesis, thereby promoting cognitive function and increasing drive. Dynamine™ is a patented, novel nootropic and blood flow enhancing ingredient providing high-potency methylliberine. Dynamine™ features gallate-enhanced oligomers derived from grape seed extract and green tea extract that promote vasodilation (expansion of blood vessels). Preliminary findings also show Dynamine also improves energy, enhances focus, and promotes better mood with a fast and intense onset of action. Be careful to not confuse Dynamine™ as being just another generic low-grade form of green tea extract or grape seed extract (which are rife in supplements these days). Instead, Dynamine™ is a unique ingredient that contains a proprietary mix of the most potent blood-flow enhancing fractions of green tea and grape seed extracts, including Peak G6. These compounds in Dynamine™ work by activating the enzyme responsible for synthesizing nitric oxide (NO), called endothelial nitric oxide synthase (eNOS). This enzyme is necessary for vasodilation and is the rate-limiting factor in determining whether or not NO can be synthesized. This makes Dynamine™ the ideal ingredient to take with other NO-enhancing ingredients, such as agmatine. TeaCrine® is a patented form of theacrine, which complements the stimulatory nature of caffeine in HAILSTORM. Theacrine is methyluric acid and derivative of caffeine, working synergistically to increase major catecholamines. Research shows that theacrine boosts levels of dopamine and adrenaline, thereby promoting better focus, better performance, and better mood. Bioperine® is a patented form of black pepper fruit extract, which helps promote the absorption, duration of action, and utilization of all other ingredients found in HAILSTORM. Halaris A, Plietz J. Agmatine : metabolic pathway and spectrum of activity in brain. CNS Drugs. 2007;21(11):885-900. Review. PubMed PMID: 17927294. Su CH, Liu IM, Chung HH, Cheng JT. Activation of I2-imidazoline receptors by agmatine improved insulin sensitivity through two mechanisms in type-2 diabetic rats.Neurosci Lett. 2009 Jul 3;457(3):125-8. doi: 10.1016/j.neulet.2009.03.093. Epub 2009 Apr 1. PubMed PMID: 19429177. Chang CH, Wu HT, Cheng KC, Lin HJ, Cheng JT. Increase of beta-endorphin secretion by agmatine is induced by activation of imidazoline I(2A) receptors in adrenal gland of rats. Neurosci Lett. 2010 Jan 14;468(3):297-9. doi: 10.1016/j.neulet.2009.11.018. Epub 2009 Nov 12. PubMed PMID: 19913596. Kern, B. D., & Robinson, T. L. (2011). Effects of β-alanine supplementation on performance and body composition in collegiate wrestlers and football players. The Journal of Strength & Conditioning Research, 25(7), 1804-1815. Baguet A, Bourgois J, Vanhee L, Achten E, Derave W.Important role of muscle carnosine in rowing performance. J Appl Physiol. 2010 Oct;109(4):1096-101. doi: 10.1152/japplphysiol.00141.2010. Epub 2010 Jul 29. PubMed PMID: 20671038. Baguet A, Koppo K, Pottier A, Derave W. Beta-alanine supplementation reduces acidosis but not oxygen uptake response during high-intensity cycling exercise. Eur J Appl Physiol. 2010 Feb;108(3):495-503. doi: 10.1007/s00421-009-1225-0. Epub 2009 Oct 16. PubMed PMID: 19841932. Bartos, J. (2013). A uniquely optimized, highly concentrated powdered form of glycerol delivering next-level hydration and next-gen product potential http://astromicnutrition. com. HydroMax_WhitePaper. pdf. Selsby, J. T., Disilvestro, R. A., & Devor, S. T. (2004). Mg2+-creatine chelate and a low-dose creatine supplementation regimen improve exercise performance. Journal of strength and conditioning research, 18(2), 311-315. Terjung, R. L., Clarkson, P., Eichner, E. R., Greenhaff, P. L., Hespel, P. J., Israel, R. G., ... & Wagenmakers, A. J. (2000). American College of Sports Medicine roundtable. The physiological and health effects of oral creatine supplementation. Medicine and Science in Sports and Exercise, 32(3), 706-717. Lee, C. L., Lin, J. C., & Cheng, C. F. (2011). Effect of caffeine ingestion after creatine supplementation on intermittent high-intensity sprint performance. European journal of applied physiology, 111(8), 1669-1677. Woolf K, Bidwell WK, Carlson AG. The effect of caffeine as an ergogenic aid in anaerobic exercise. Int J Sport Nutr Exerc Metab. 2008 Aug;18(4):412-29. PubMed PMID: 18708685. Nielsen JJ, Mohr M, Klarskov C, Kristensen M, Krustrup P, Juel C, Bangsbo J. Effects of high-intensity intermittent training on potassium kinetics and performance in human skeletal muscle. J Physiol. 2004 Feb 1;554(Pt 3):857-70. Epub 2003 Nov 21. PubMed PMID: 14634198; PubMed Central PMCID: PMC1664795. Fitzpatrick, D. F., Fleming, R. C., Bing, B., Maggi, D. A., & O'Malley, R. M. (2000). Isolation and characterization of endothelium-dependent vasorelaxing compounds from grape seeds. Journal of agricultural and food chemistry, 48(12), 6384-6390.